In the last ten years, great strides in research and understanding of Autism Spectrum Disorder (ASD) have improved accessibility to diagnosis and early intervention services, including ABA therapy, for children with Autism Spectrum Disorder (ASD). Before this, many children with ASD were not given an accurate diagnosis or appropriate supports. Very little, if any, early intervention therapy was readily available for families in need. Today we know that the earlier we intervene the better. Early intervention can make a distinct difference in the outcomes for children who are on the autism spectrum. Research spanning 30 years has shown the benefits of early intervention (Conroy, Dunlap, Clarke, & Alter, 2005). Early detection and intervention can provide a child appropriate replacement behaviors. This article aims to emphasize the importance of early intervention services for individuals with ASD and how parents, caregivers, and therapists can effectively help. This article will also describe potential indicators of ASD, when early intervention should begin, how to determine the appropriate concentration of weekly therapy hours, what is accomplished during early intervention ABA treatment, and how to find the right early intervention treatment program for your child. These symptoms can be seen and detected as early as 12 to 18 months of age and in some cases even earlier. Children should be monitored throughout development for warning signs. High-risk groups such as children who have other siblings diagnosed with Autism should be monitored closely by physicians, parents, and caregivers. How Early Should Intervention Begin? Parents and caregivers are often very surprised to hear that treatment for Autism can begin at any age. However, diagnosis by a developmental pediatrician or psychologist is often required and has been as early as 18 months old. Not only should intervention begin as soon as possible, but new research on early intervention ABA has also determined that an average of 30+ hours per week is ideal. How Concentrated Should Early Intervention Treatment Be? Research on the effectiveness of ABA therapy indicates that a high amount of hours (30+ hours per week) at an early age (before age 5) is the most beneficial for clients. However, there is much to consider when evaluating ABA programs. ABA treatment plans are categorized in two different ways, comprehensive and focused. Comprehensive treatment plans address global delays across many different developmental domains and generally consist of 30+ hours per week of therapy. Focused treatment plans address a few specific behavioral targets such as problem behavior reduction and are generally lower hours per week. Please refer to the bacb.com for more ABA guidelines. The amount of hours needed per week to make meaningful progress is determined by the comprehensive assessment conducted at the intake with each client. The recommended hours that each client receives is dictated by the assessment outcomes and by the supervising Board Certified Behavior Analyst or BCBA. Each case will be supervised by a BCBA who will conduct the initial and ongoing assessments, program goals for each client, monitor progress on goals, overlap and supervise direct service technicians, implement a behavior reduction plan if needed, and consult with the family. For more information about BCBAs and supervision requirements for ABA treatment, please visit bacb.com. The recommended ABA therapy hours are prescribed by the supervising BCBA much like a medical doctor prescribes medication to treat an illness. Coverage of ABA services through private or state insurance requires pre-authorization and it is essential that the entire treatment plan is implemented correctly and followed by all caregivers. What is Accomplished in Early Intervention Treatment? During ABA therapy, the treatment is individualized and targets a range of difficulties that children with ASD experience to help them participate meaningfully at home, school, and social settings. Work is done on communication skills, daily living skills, imitation skills, play and social skills, cognitive skills, gross and fine motor skills, behavioral and safety skills. When it comes to certain maladaptive behavior a child may have, the function of that behavior is identified and addressed. This individualized treatment provides the most effective results. Intervention Treatment Program for My Child? Every child with an ASD diagnosis will have access to specific state funded programs to address deficit skills. However, private health insurance also covers a multitude of services including ABA, speech, occupational therapy, and feeding therapy. Most ABA agencies will help you navigate what your particular plan covers and what is your patient responsibility. ABA is an essential part of any program or school placement. Evaluating whether or not a program implements ABA correctly and consistently is key. All therapy models should be ABA-based and the staff should all have sufficient ABA training. 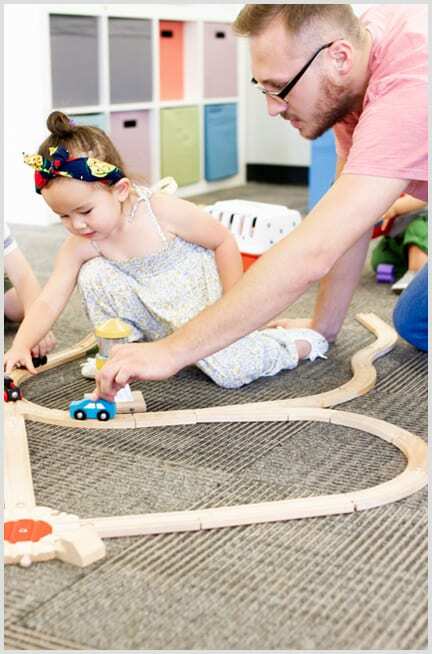 You will want to choose an early intervention program or developmental preschool that follows an evidence-based academic curriculum, is founded on assessments of the children in the program, and the data is made available to families. A great program will have highly trained staff. Generally, you will want to have staff that are Registered Behavior Technicians (RBTs) working with your child. You will also want to evaluate the turnover rate that any agency has to ensure your child works with consistent and familiar staff without any disruptions. You will also want to ensure your child’s case is overseen by a BCBA and that you or your family has access to this BCBA through parent training. You will want to ensure the ABA agency takes accurate and regular data throughout the entirety of your child’s services. Make sure you have a way to access that data on a regular/daily basis to ensure you are familiar with what your child is working on and how they did each day. Many agencies utilize an online patient portal that gives parents access to see their child’s program book and any billing corresponding to their child’s therapy. When you are looking for the right early intervention program, ensure that the agency will coordinate care with your other service providers and with you and your family on a regular basis. Make sure that your early intervention program is able to evaluate and addresses any problem behaviors your child might exhibit. This will include a functional analysis, development of an intervention plan and specific parent training regarding the implementation of the plan. You will want to ensure that the early intervention program has a built-in parent training model or requirement. This will ensure consistent implementation of behavior plans as well as ensuring the maintenance of learned skills. 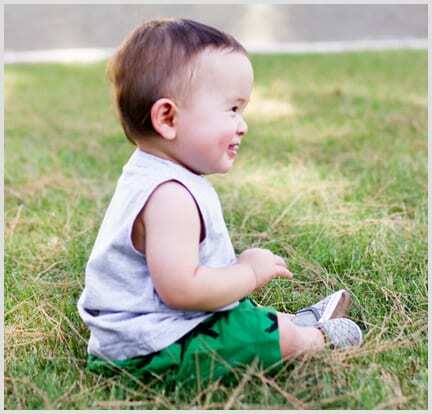 Where Can I Find the Best Early Intervention Treatment in Arizona? Here is a comprehensive list of service providers in the state of Arizona. The BISTÅ Center provides this resource guide to all families that tour our facility and/or begin ABA services at our clinic. The BISTÅ Center is a non-profit ABA clinic located in Mesa, Arizona. The BISTÅ Center has provided ABA services to children and adults with autism and other developmental disabilities since 2009. The BISTÅ Center offers individualized ABA treatment plans for all individuals. All ABA treatment plans are directly based on assessments, both their initial assessment as well as subsequent and ongoing assessments. Each child’s ABA treatment plan will include a detailed, individualized skill acquisition plan, problem behavior identification and reduction, social group opportunities, and parent/caregiver training and consultation. Parent and caregiver training is required on a monthly basis for all clients to ensure consistent implementation of the treatment plan when therapy is not in session. 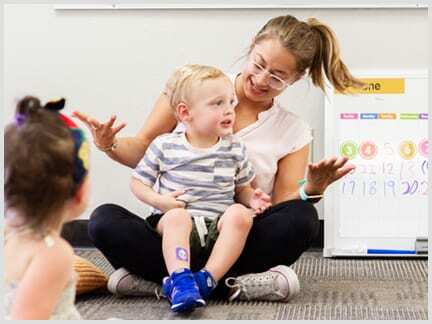 The BISTÅ Center requires that all staff complete their Registered Behavior Technician certification with the BACB within 90 days of their start date. Our clinic-based Kindergarten Readiness Program focuses on the areas that our clients show deficit skills in. 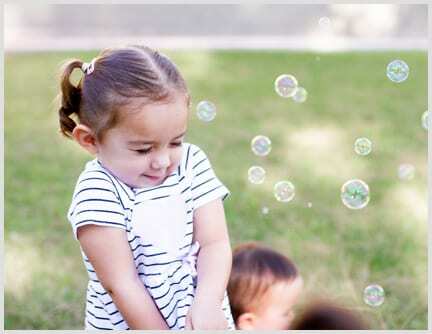 These include basic communication skills, independent play skills, reducing problem behaviors, basic social skills, group participation, following directions and a range of other school-readiness skills. Mastery of these school readiness skills are imperative for our clients to access public education in a typical setting with their peers. In addition to our in-clinic and 1:1 ABA sessions, we offer weekly social groups for clients to work on deficit social skills in a group environment. Social groups are held twice per week after school hours so that school aged clients can attend regularly. The BISTÅ Center also offers summer sessions where clients can attend higher amounts of hours while they are out of school for the summer break. Summer session gives us the opportunity to focus on social skills with many different peer groups at our clinic. All of the resources and treatment plans at the BISTÅ Center are coordinated with other service providers such as speech therapists, occupational therapists and feeding therapists. Coordination of care is essential to every treatment plan to ensure the same expectations from all service providers as well as the implementation of only evidence-based practices. The goal at The BISTÅ Center is to help our clients acquire essential skills that align with their same-aged typical peers. This goal is a possibility for children who access early intervention ABA services. We have been successful because of our deep commitment to each individual and finding the exact right opportunity for them.